As the President and CEO of the Saint Joseph Hospital Foundation (part of KentuckyOne Health) once in awhile a donor story becomes etched in your heart and memory and validates the fundraising work we do to support our KentuckyOne Health patients and families. While healthcare news and issues remain in the news on a daily basis, this story begins at our critical-access hospital Saint Joseph Martin in Floyd County, Kentucky and probably didn’t make major headlines. Simply put, I can assure you that the culture of philanthropy is alive and well in the beautiful mountains of eastern Kentucky and sometimes physicians do extraordinary things far beyond the reach of the stethoscope. As a seasoned fundraising professional this physician giving story makes you believe in the true spirit of generosity and goodness. Drs. Chandra & Mehendra Varia Digital Mammography Suite. 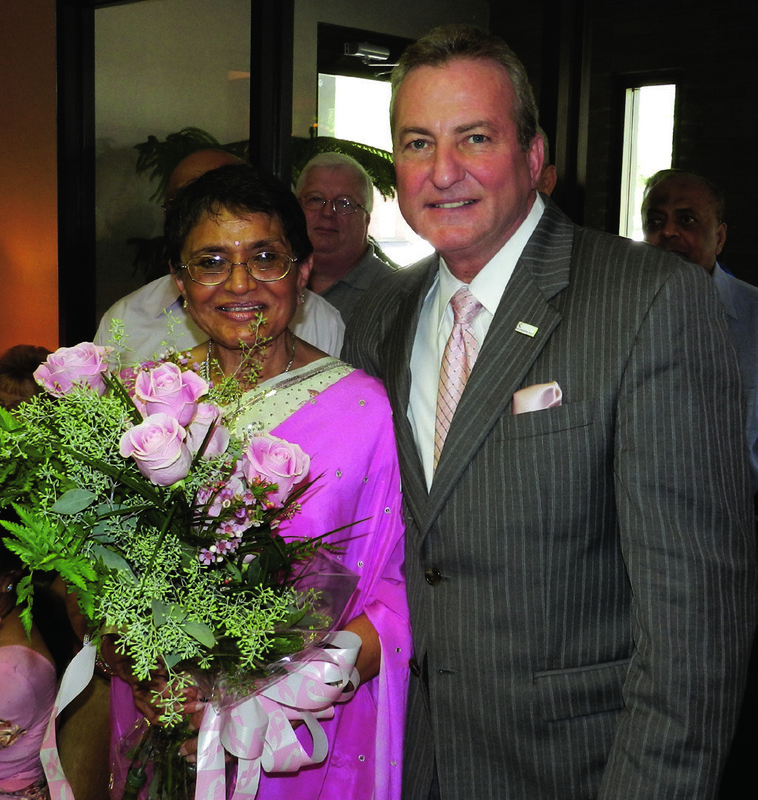 The beautiful new digital mammography suite was opened because long-time physician Dr. Chandra Varia and her husband, Mehendra Varia, DVM, made the lead gift of $125,000 for the “Yes, Mamm in Martin!” campaign. Dr. Varia, who has delivered over 3,500 babies, was passionate that Saint Joseph Martin needed digital mammography services. The community and over 50 other donors and physicians followed their example raising over $225,000 including a grant from the Susan G. Komen Lexington Affiliate. 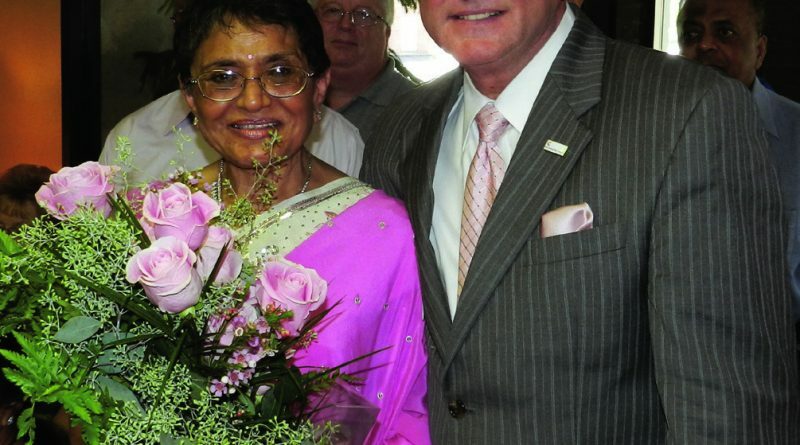 The Varias, already known for their generosity, arrived in the United States in 1975 from India and have made their home in Martin, Kentucky since July 1979. Dr. Mahendra has his own veterinary small animal clinic and Dr. Chandra Varia specializes in obstetrics and gynecology and has been practicing medicine for 42 years. When the Varias first came to Kentucky, no one believed they would stay but they love the mountains and the people and they believe in giving back to their community. Dr. Chandra and Dr. Mehendra Varia, we thank you for your generosity and for reinforcing the ‘why’ healthcare philanthropy is paramount to our mission to create healthier communities for our patients and families. When I see the pink ribbons in and around the hospital, I know that over 400 women in Floyd County have already been in for their mammogram on the new equipment. Yes, Mamm! This project will save lives and as a physician, Dr. Varia not only practices medicine, she practices philanthropy.